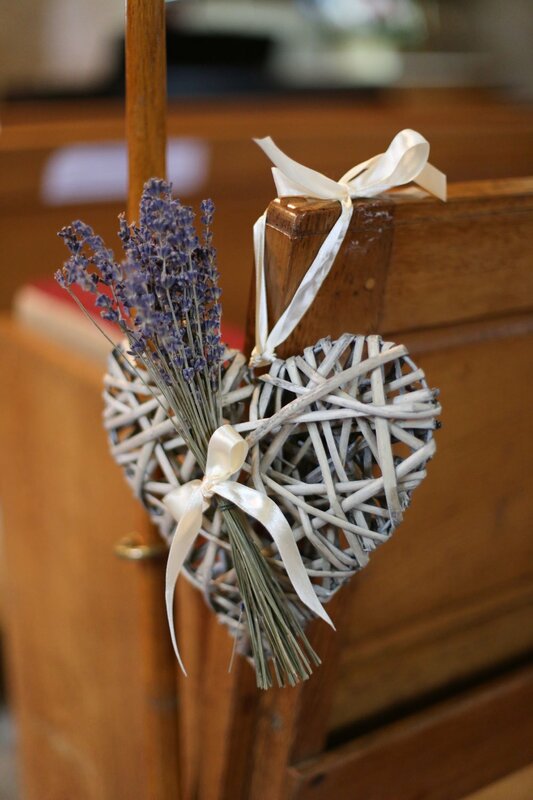 We do love a village wedding and what is more magical than being able to walk from your family home, arm in arm with your dad to the village church and then onto a beautiful marque in the grounds of the village hall, immediately adjacent. 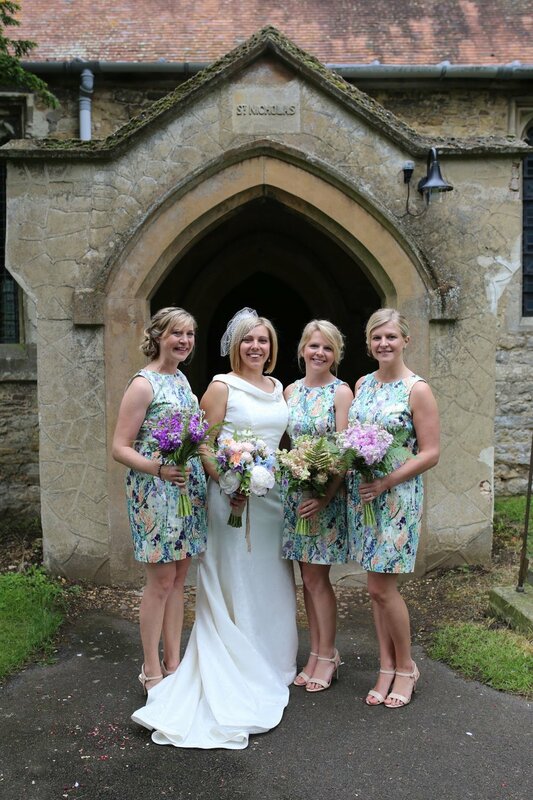 Sarah-Lindsay knew she wanted lots of fresh flowers all arranged in a very informal, relaxed style. She had already chosen her bridesmaids's dresses when she came for her first consultation so we were able to choose her favorite flowers in soft pastel shades to work with the floral prints on the dresses. Sarah-Lindsay's mum collected a variety of simple, cream enamel jugs and we filled the church with gorgeous, seasonal blooms in soft pastel shades. 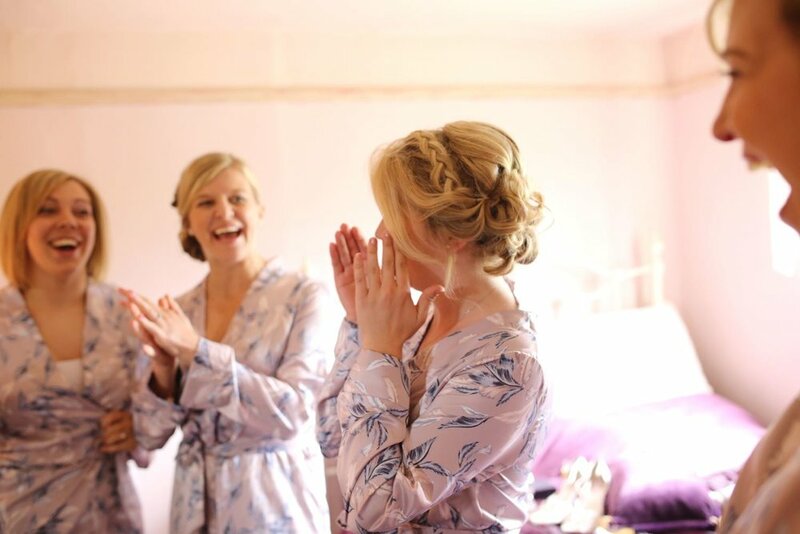 Here are the gorgeous newly wed's looking so happy and relaxed, chilled was definitely the order of the day. 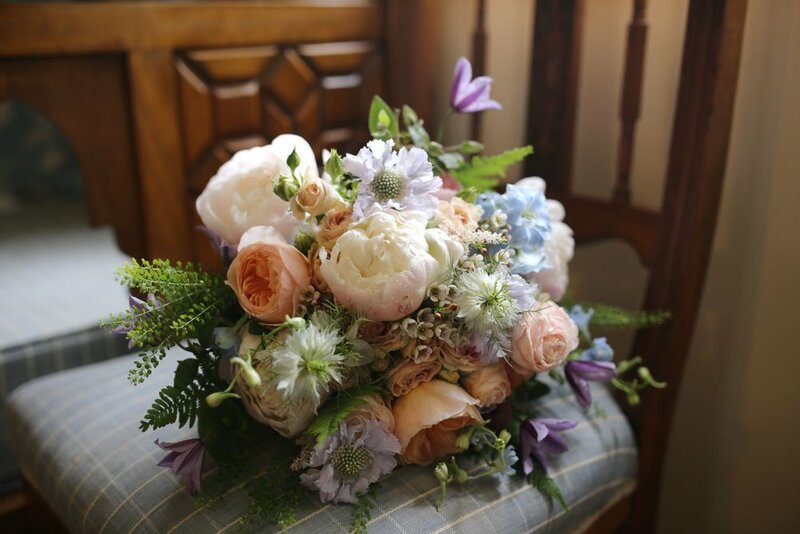 Oh and the bride's bouquet, the very essence of summer. Not forgetting the all important details; buttonholes, corsages & Canapé flowers.